Chris Coole is a cracker-jack banjo picker who has been on the old-time and roots music scene for going on 20 years. He has taught at banjo workshops and camps internationally. Coole has released several albums under his own name and with the Foggy Hogtown Boys as well as numerous collaborations with a variety of great roots musicians including Arnie Naiman, Erynn Marshall, Ivan Rosenberg and David Francey. His vision, musicality and great knowledge of the music are the driving forces of "Old Time". 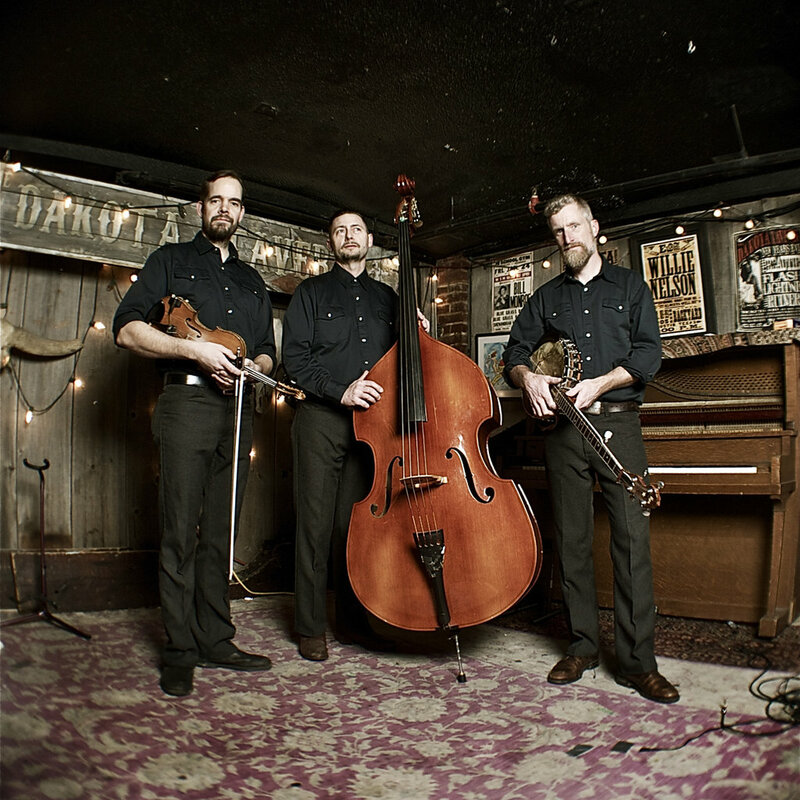 John Showman is known as one of Canada's finest fiddle players, a strong and versatile musician best-known for his work with the Foggy Hogtown Boys, New Country Rehab and Creaking Tree String Quartet. His love of traditional fiddle music is palpable everywhere on "Old Time" and he brings the music to life with inspired playing. Max Heineman's powerful and unique voice carries the listener straight to the heart of the music, with a timeless quality entirely his own yet one that hearkens back to the classic folk and country singers that have shaped the style. His bass playing supports and compliments the music expertly, both driving the rhythm and gliding right along with the melody to give the trio it's distinct sound. He is well-known for his playing and singing with the Foggy Hogtown Boys.